Before I tell you about this great syrup we made, I wanted to give a little background and information on what we put into this concoction. Elder flowers: Enhances immune system function, soothes respiratory tract, Effective against flu viruses, Relieves coughs and congestion. Echinacea: Great for immune and lymphatic system, Stimulates certain white blood cells, useful for allergies, colds and flu. Ginger Root: Increases circulation, strong antioxidant, Useful for fevers. *If you do not want to take the time to make a syrup, these herbs can be combined in an infuser or tea ball and can be consumed as a tea. You should just make the syrup! This sound delicious because it sounds like something you put on your pancakes!! 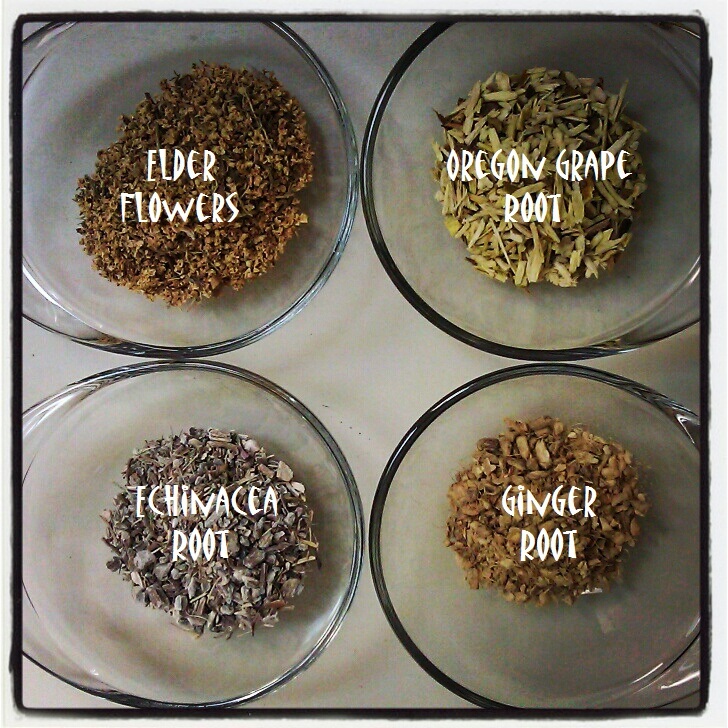 Although you could, this baby's main purpose is to kick the cold/flu that you've been dreading this winter season. My incredible herbalist (aka hubs) concocted these herbs into a syrup and together we canned this stuff. I can say that we have already used it this year and it worked incredibly. We both felt a cold coming on at one point and started taking this stuff. The cold was so minimal I barely noticed it. Now that I have disclosed this information, I want you to believe me and make this stuff. *cut and sift looks like small pieces and is not powdered form. Add all ingredients to pot, except for honey. Bring to a boil and reduce heat to low. Cover and simmer for 45 minutes. Allow mixture to cool. 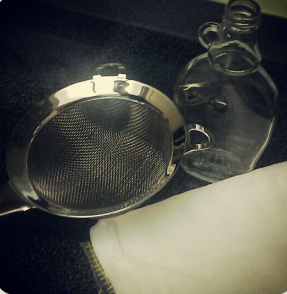 Put cheesecloth on top of fine metal strainer. pour elder mixture through cheesecloth into a bowl. When pouring mixture through cheesecloth herbs will be left behind. The cheesecloth is very helpful at this point. Gather the edges of the cheesecloth and twist. Squeeze extra juice out into the bowl. You are going to want to get as much out of these herbs as you can. After you are done straining and squeezing, add honey. Honey amounts depend on how thick you would like your syrup. Pour syrup into jars and refrigerate. We found syrup jars that you are able to seal. If you are in the canning mode, go for it. That way we are able to store syrup in our pantry instead. I am excited to introduce this face wash to people, because it really works! I have to be very careful with the things I put on my skin, because my skin is very sensitive. After spending a lot of time and money on trying new face washes and failing each time, I can say that this works! It's a makeup remover that leaves you with a smooth clear complexion that I've been waiting for. Sterling talked with a dermatologist that came into the health food store. Apparently her skin looked incredible and this is what she uses everyday! 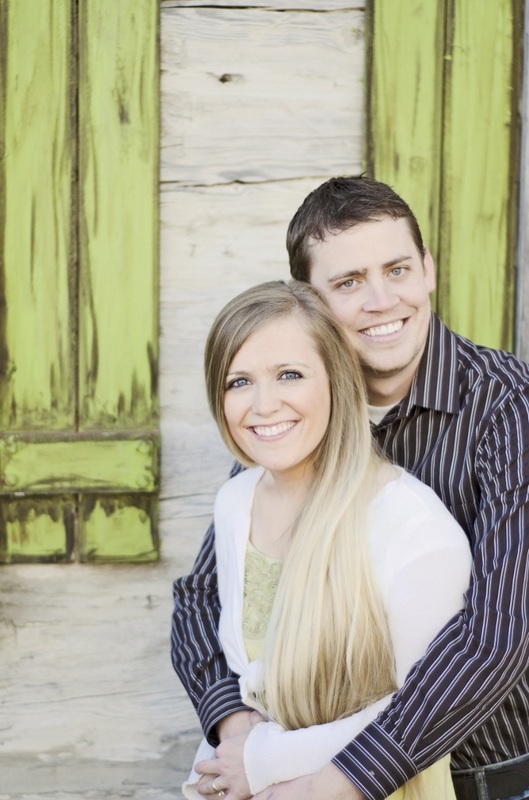 It's natural and goes a long way so it ends up being very inexpensive. Oil sounds gross to be putting on your face, but I promise it works. All you need to do is find a small glass container. 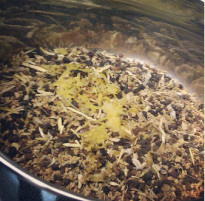 We have a ton of amber bottles, so we put both of the oils in this container, shake and wham, you are ready. At the end of the day splash you face with warm water. Shake the bottle and put about a quarter size of the oil in your palm. Rub all over your face and lay a warm damp towel over your face for a minute or two. After the minute is up rub your face with the towel. Makeup and every other dirty creature will come off your face, leaving it smooth and beautiful. Easy EH! I am not a big fan of soy protein because I think that we get enough, maybe too much soy in our diets. Quite honestly I don't think soy is a very healthy way to go. There are so many other great protein powders out there that are a healthier option than soy protein. This is a great list of protein powders that I have tried. They are all great and high quality. I prefer to go with a good whey protein or a raw protein that is plant based. This is a great flax and whey protein made by MRM. The vanilla flavor is great. This is a protein powder that I would recommend rather than soy. This is a very high quality raw, plant based protein powder. Unlike other plant protein powders this has a smooth texture. The main thing is to do your research when looking for any supplement. Your health is important and it's a great idea to understand how these different supplements can improve your health or help you loose weight. Have you ever thought about how much you are spending on makeup remover, or those expensive face washes. Since my skin in sensitive I have had to go natural in this department. 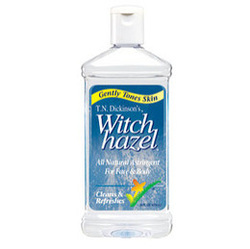 I was able to find a mild and natural product that is not expensive at all.It's called Witch Hazel. Usually they have it at the health food stores for a little over $4. Really I just get the T.N. Dickinson's brand at Target for about $3.50 and it's the exact same thing. If you go there at the right time, they usually have a $1 off coupon too! I'm sure you are saying "Yes Hayley I am always at Target, but why should I buy this stuff when I can just use my other face washes?" It's inexpensive and it works! It is also good for easing skin irritations such as scrapes, cuts and bug bites. If I haven't convinced you, and you still want to use your makeup remover cloths, or face cleansers, I would still recommend that you use this afterwards. It is great for your skin.